Quik-Ωhm - ADM Tronics Inc. 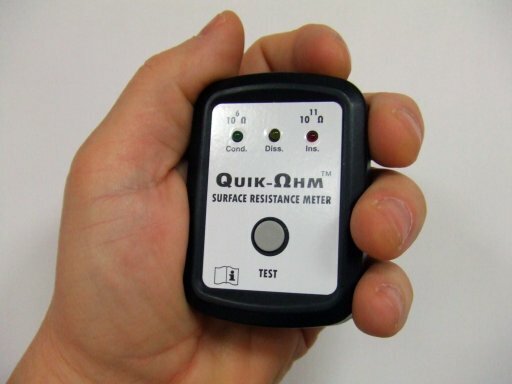 The Quik-Ohm is a pocket sized, cost effective surface resistance meter. Measures only 2″ x 2″ and weights only 1.5 ounces! Accurately measures surface resistance on a wide variety of conductive, dissipative, and insulative materials. 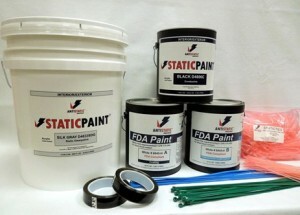 This was developed for Antistatic Industries as an easy field test for their StaticPaint® and other anti-static products. To find out more click on the Antistatic Industries icon below.